This was such a wonderfully dark, Lemony Snicket-esque retelling of the traditional Snow Queen faerie tale. I know this is a children's book, but the descriptions and the characters, particularly the queen's minions, were so frightening and well-described it was easy to forget this fact when reading. 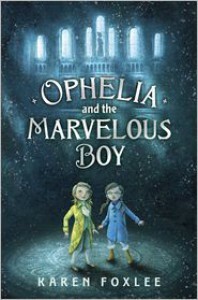 My favorite parts of the story were the details the Marvelous Boy provides about his homeland and his journey to Ophelia's world. The wizards, the magical owls, and the hardships he endures are so engrossing and fantastically detailed. I almost wish these details were not told as flashbacks, but instead as a prequel, so we could get all the details. I was also impressed with the subtle way in which Foxlee weaves Ophelia's heartbreak at losing her mother into the story. The "voice in her head" telling her to be strong and the way Ophelia is able to put aside her steadfast dedication to scientific facts in favor of magic was very touching. I am not sure the target audience for this book (middle grade children) will appreciate these details quite as much as I did, however, which is a little unfortunate. The only thing I didn't particularly care for was the fact that the plot often felt a little formulaic, much like the Series of Unfortunate Events books. Ophelia is given task after task. 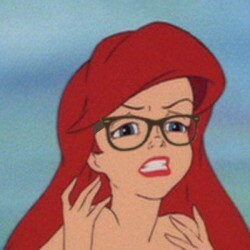 Each task is rather similar and involves her overcoming obstacles, usually in the form of some kind of magical beast. Other than this minor detail, this was an absolute treat to read. I'd recommend this book to fans of faerie tale retellings and dark children's books. The writing was rather lyrical in nature, so if you like Lemony Snicket's Series of Unfortunate Events series, you will adore this book.